Nestled on Flat Creek, yet steps from Jackson Town Square and the Ski Shuttle, the Inn is renowned for its picturesque setting, impeccable service and affordable luxury. You'll love our Bed & Breakfast, away from the crowds where it is quiet and serene. 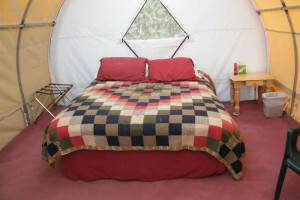 Enjoy these glamping tents, nightly dinner cookout, breakfast and morning horseback ride. 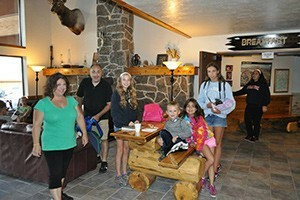 We welcome you to experience this unique renovated church b&b in the heart of Cody. 3 rooms each with private bath. 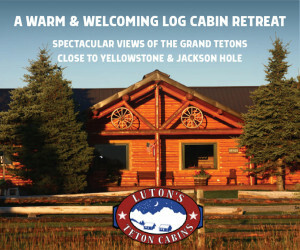 A quaint Bed and Breakfast located in the heart of Teton Valley, Idaho. 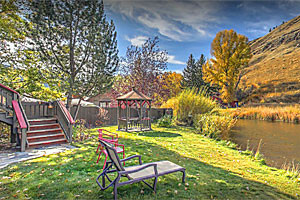 Located on the 5th Tee of Teton Reserve Golf Course, enjoy a home away from home. Continental Breakfast included with each room. Ask about off season rates from Oct. - April. 4 quaint rooms in this refurbished 1914 Inn. Children 10 and up are welcome.